They're knit in SweetGeorgia Superwash Worsted, using US 6 needles, and I will never, ever get over my love for that yarn. It's just so soft and silky, an absolute joy to knit with. 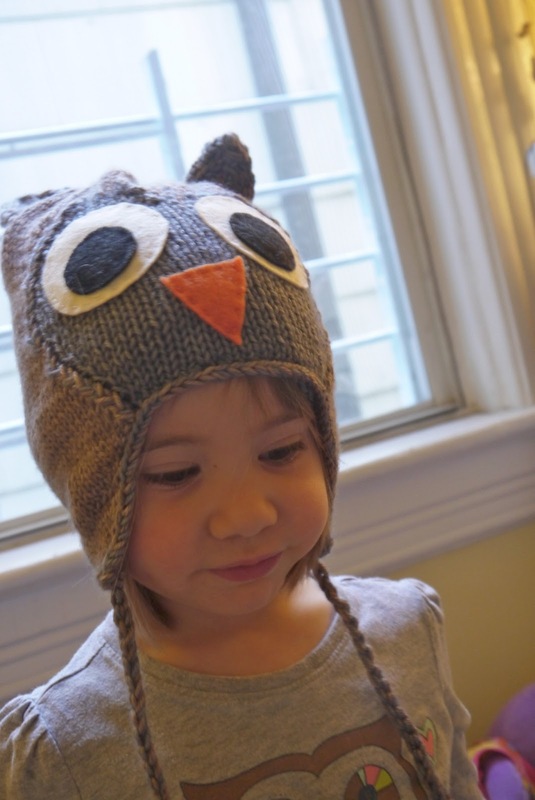 These hats are knit flat and then seamed (it was the easiest way to get that fake intarsia thing happening). I had the hardest time wrapping my head around it--was a flat hat really going to be round?? But it is, and seaming it was much easier than I thought, and my Little Owl absolutely loves her hats. Even if the owl hat is just another for the collection.